"Once Upon a Time in Hollywood" will be released on July 26. 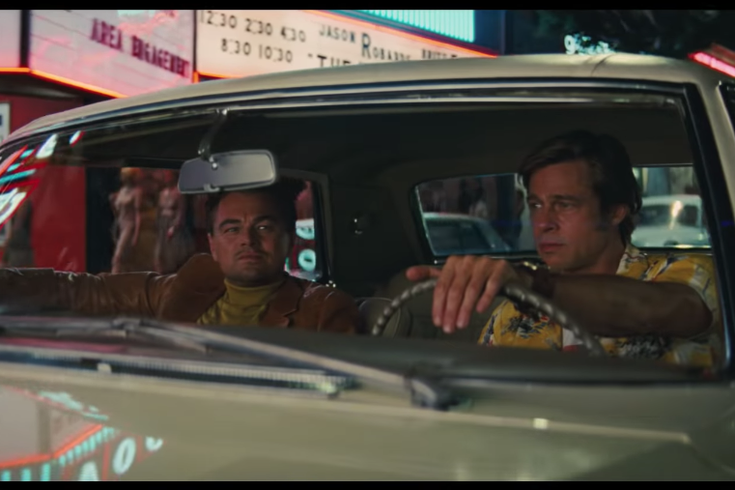 Quentin Tarantino is back with his ninth film, “Once Upon a Time in Hollywood," and it's going to be a free-lovin', wild ride. The trailer focuses on two main characters: Rick Dalton, a television actor played by Leonardo DiCaprio, and his stunt double, Cliff Booth, played by Brad Pitt, as the two try to make their move from television to moviemaking. Though, it looks like the two will be coinciding with one of the most notorious serial-murders of all time. This chemistry-rich duo live next door to none other than Roman Polanski and Sharon Tate, the pregnant actress who was violently murdered by Charles Manson's followers. We only see a few quick glimpses of Margot Robbie as Sharon Tate and Damon Herriman as Charlies Manson amid shots of Rick Dalton shooting guns on set and getting emotional by his acting performance. This cast is so star-studded a number of actors are completely missing from the trailer, including James Marsden, the late Luke Perry, Al Pacino, Lena Dunham, Dakota Fanning...the list goes on. Bruce Dern, who plays the rancher that owned the ranch Manson and his followers lived, is also missing from the trailer. This is Tarantino's ninth film serving as writer and director. It's also his first major studio release. It was shot on location in Los Angeles. "Hollywood" is expected to premiere at the Cannes Film Festival in May, 25 years after "Pulp Fiction" premiered at Cannes and won the Palme d'Or. Sony Pictures will release "Once Upon a Time in Hollywood" everywhere on July 26.